Growing up in Queens and a native New Yorker, Jay’s extensive knowledge of the fast changing dynamics and developments in New York City’s real estate market reaches across all five boroughs and Long Island. With years of experiences in various sales fields ranging from home décor to imports of accessories, Jay has dealt with a diverse client base from all cultures teaching him to serve with the utmost understanding and dedication to their needs. Instilled with a loyal nature and an easy-going personality, Jay is committed and always willing to go the extra mile to provide superior service. Jay also speaks Mandarin, conversational Cantonese, Wenzhounese. Whether it’s buying, selling or renting, you can place your trust in Jay to listen and help. 2 BR at 22 SPRING STREET, #10..
1 BR at 331 EAST HOUSTON STREET, #2.D. 331 EAST HOUSTON STREET, #2.D. February 2019 by Maverick W.
I worked with Jay from REAL NY in February to try to find a new apartment and he was very helpful and resourceful. He knew everything that needed to be done and was very honest in everything he tells me. Definitely recommend! February 2019 by Mandi F.
Jay Lin was a huge help in us finding our new home and we truly appreciated his time and effort in helping us along in the tedious sign up process. He was also very personable and knowledgeable about the surrounding area - transportation wise, amongst other things needed to know prior to moving in. Thanks Jay!!! June 2017 by Tillie L.
As a first time New York apartment hunter, working with Jay Lin was a great experience! He was always prompt in responding to my questions and concerns which made things way easier for me since I wasn''t living in New York at the time. He even helped negotiate a better rate with the landlord and also pushed for quicker responses from the property managers. I''m definitely planning on recommending Jay to my friends that will be moving to the area in the near future! June 2017 by Nicole H.
I was in contact with Jay Lin and I have had the best experience over 10 years here in NYC with a real estate agent. Having a large dog was a challenge, but Jay was patient and very helpful in my search. Will definitely recommend him to anyone else. June 2017 by Nellie D.
I''ve worked with many real estate agents in the past, but never one as professional, organized, and patient as Jay Lin. During the two days I spent searching for the perfect NYC apartment with Jay, he not only took the time to schedule a wide range of listings across Manhattan, but he also took the time to get to know me as an individual, my taste, and expectations. His polite nature and positive attitude made the entire experience very enjoyable. During the showings I felt like I was just hanging out with a close friend rather than going through the monotonous task of trekking from building to building. Although I ended up taking an apartment that wasn''t introduced by Jay (as I had started my search a few days before we had connected), I definitely plan on reaching out to him first when I look for my next home. 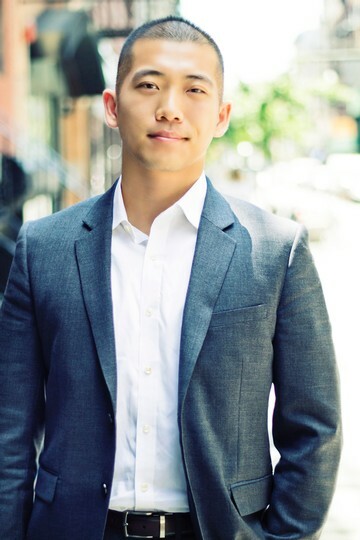 His gracious nature and expertise in luxury residential buildings in NYC is the perfect mix for success for anyone who is looking to connect with a real estate agent who is hard working and handles his relationships with poise and integrity. June 2017 by Bobby L.
Jay Lin was great! Attentive, extremely hard working and transparent. June 2017 by Eva K.
Jay Lin was an excellent agent in our apartment search. He was extremely helpful and devoted to finding me find an great apartment, showing us 8 apartments in just 3 hours! He took pictures and videos to help us remember each apartment and provided great insights about the neighborhoods and life in NYC. Jay is very committed to making the apartment search easy and helpful! Highly recommended. My situation was a special one: tight time frame to move from Atlanta to NYC, which meant that I had to conduct my searches virtually and over the phone. Out of the 20 some agents I contacted, Jay was by far the best and most honest one. Very upfront, easy to get hold of, very very patient, do not give quick "brush over" replies, and goes the extra mile. I can''t not stress that last point; absolutely went the extra mile when he went all the way to LIC to take pictures for me for two units on a Friday evening. He definitely earned my respect and trust. I would highly recommend him and would use him the next time I move.